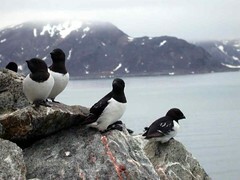 This entry was posted in Science, Weather and tagged Birds, Boston, Boston Fire Department, Dovekie, Laura Ingalls Wilder, Little Auk, Roxbury. Bookmark the permalink. ← Going over the cliff? !